I have some cool Ideas for the Forum. 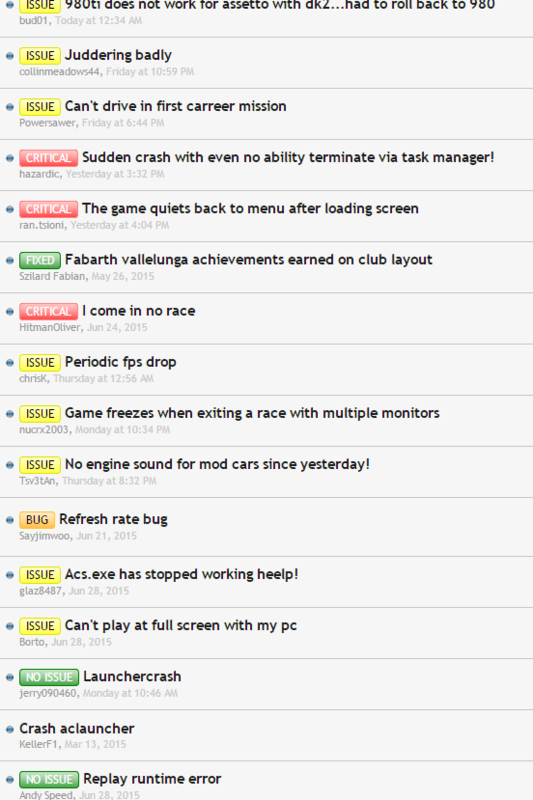 In the Troubleshooting Section, the Mods/Admins/Dev can Tag the Threads like Workaround, ISSUE, BUG or Critical. This could help alot for Guys with Problems, when they have an Problem and searching for an resolution, its easier to find them and tehy can also see direct, if this Problem is already fixed or something else. Having the moderators do it just adds extra work to their already busy collection of tasks. If this is to be implemented, and I do support the idea, it'd be best to allow the poster to add a tag if they so desire. That does raise an issue with the likely abuse of the "Critical" tag, so perhaps a regular tag could be upgraded to critical by a moderator/developer. Again, adds work, but less than having to review every topic. I just want to be sure that we are on the same page here. Are you asking for this for every single forum section here including the sub-forums or just my little corner of it for the Forum feedback? I use those tags on my site and they are helpful for sure. At this point in development of the game nothing is set in stone. Things are changing and evolving. I have to wonder if this would be best looked at once the alpha release and testing stage starts. Right now it is very hard to set a tag on something when the possibility is very real that it could change again a day later. For my little corner it would work fairly well right now but for sections about the actual game it could be really messed up and cause more confusion. That is an interesting way to do it.